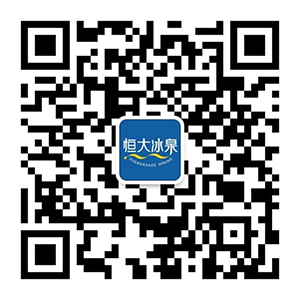 On July 13, 2014 Crossing the Pearl River(Guangzhou) is to be held at section of the Pearl River starting from port at north gate of Zhongshan University and ending at Xinghai Music Hall, and this activity is sponsored with gusto by Evergrande Spring, being the “Only Designated Bottled Water”. The Pearl River is “Mother River”of Guangzhou, the Pearl River Delta and Southern China. Since the reformation and opening-up, industrial pollution has disastrously polluted the Pearl River in the process of social and economic development led by modern industry. To increase people’s awareness of environmental protection, Guangzhou Municipal Government has held eight times of large-scale activity of crossing over the Pearl River of mass sports for public welfare, which is popular among citizens. On July 13, 2014 crossing over the pearl river(Guangzhou) will be officially kicked off at section of the Pearl River starting from port at north gate of Zhongshan University and ending at Xinghai Music Hall. As an upstart in mineral water industry, Evergrande Spring has been devoting to protection of water resources and cause of environmental protection since it comes onto the market, and paying attention to drinking water safety of the people, as well as actively guiding the formation of right and healthy concept of water-drinking. This activity is sponsored by Evergrande Spring with gusto, and it is the only designated bottled water of 2014 crossing over the Pearl River(Guangzhou). Then, Evergrande Spring will provide full support for activity of crossing over the Pearl River to be successfully held: drinks will be supplied on site for participating members so that they can gain strength at any time; tent and sun umbrella will be set up for guaranteeing a good environment where they can wait and have rest, in addition, cheering squad will have perfect interaction with them by shouting “come on”. In April of this year when severest excessive benzene content of tap water occurred in Lanzhou, a panic of drinking water safety was raised among the public, in getting this piece of this information, president of the board of directors of Evergrande Real Estate Group, Xu Jiayin made the decision of donating 1200 bottles, that is 500 thousand boxes, of Evergrande Spring in first time. 3000 Evergrande staff work day and night for 65 hours, and in successfully rushing to Lanzhou’s rescue, Evergrande Spring was praised by people from all walks of life. And this event not only once again arises people’s strong concern for environmental protection and government’s quick reaction, but also makes people from all walks of life pay high attention to Evergrande Spring. Large number of pollution in rivers, lakes and the sea caused due to modern industry and frequently occurring event of tap water pollution have made people become more dependent on bottled mineral water, which, as though, has substituted tap water as the main drinking water in consumers’ daily life. With the advancement of living standard, requirement of drinking water no longer stays at the level of quenching thirst, for more people pay higher attention to quality of drinking water and satisfying higher level of living quality. In order to guarantee the best quality of product, Evergrande Spring has been the first in exercising quality commitment of “Supply the world from one water source”domestically, ensuring that every bottle of Evergrande Spring drink by customer originates from Changbai Mountain, one of three golden water sources in the world. On May 20, by virtue of world class quality, Evergrande Spring grandly held signing ceremony for exportation to 28 countries, creating an exportation record of Chinese mineral water in being of the largest scale, highest specification and biggest influence; on June 25, ceremony for Evergrande Spring’s maiden voyage and first exportation to Europe and Asia are respectively held in Shanghai and Jilin Province, and the first batch of Evergrande Spring selling to overseas countries formally started out, performing the quality commitment of world class water. 2014 Crossing Over the Pearl River(Guangzhou) forcibly promotes all people to participate in treatment of water environment through national fitness, which fits perfectly with Evergrande Spring’s persisted concept of drinking water safety for people’s livelihood, working together to protect water source of life and arising people’s awareness of water resource protection, so as to create a good social fashion where human beings live in harmony with nature.